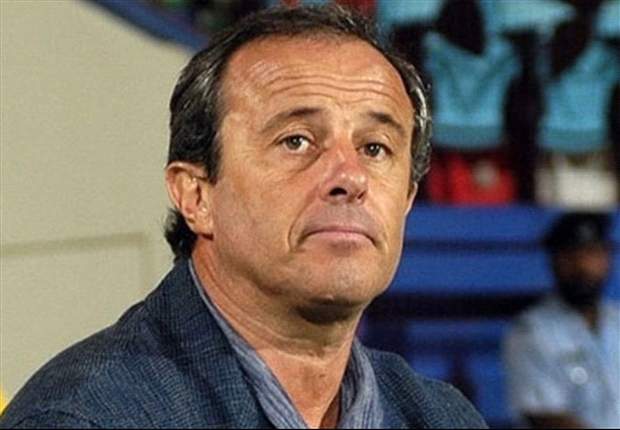 Congo manager Pierre Lechantre has claimed that Egypt are not the African powerhouses they used to be, but is still expecting a tough encounter in the teams’ 2018 World Cup qualifier on Sunday. The Red Devils and the Pharaohs will meet in Brazzaville tomorrow afternoon for the second Group E clash of the weekend, with Ghana and Uganda having met in Tamale on Friday. Egypt haven’t qualified for a World Cup since 1990 and Lechantre believes they are not as strong as they were a decade ago when they won the first of three successive Africa Cup of Nations titles from 2006 to 2010. “We have watched them against Tanzania and South Africa, but they are not the same team of ten years ago which was at the top African level,” Lechantre told the Congo press. The Red Devils manager also identified Egypt’s Mohamed Salah as a key figure they will have to keep under wraps. “We said to the players that we’ll deal with a player [Salah] who is very fast and we know his qualities, so we worked on that,” added Lechantre.